As you may know, Comp-Ware Systems has been around for over thirty-two years, and in that time span has had the privilege of serving over five-hundred customers in thirty-three states as well as, Canada, British West Indies, Saudi Arabia, and South Africa. Comp-Ware has also made an appearance to around one hundred Pet Store Trade Shows. But, who are the people behind all of this? Well, stick around for this series and find out the faces behind Comp-Ware Systems! 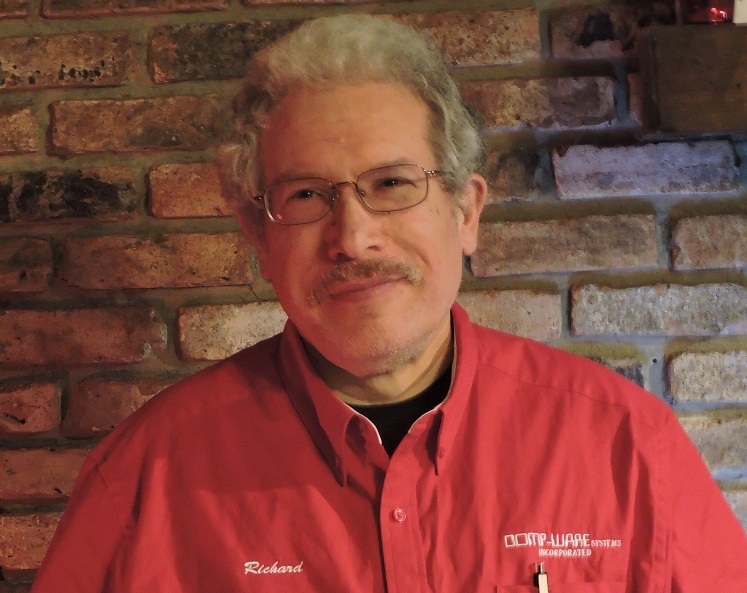 Today, we’ll be doing a Q/A with the founder and owner of Comp-Ware Systems, Richard Kann. He’s the father of five girls, four boys, and a son-in-law, and a husband of thirty-five years to his wife Diane Kann who we will be introducing next week but, for now, let’s get started! What Inspired you to start Comp-Ware Systems? My wife, Diane and I owned a pet store in Jamestown, NY. We searched for a good POS system that would help us not only track inventory and sales but, help us run the store. We could not find anything that fit our needs. I was a computer programmer so I decided to write one from scratch for the store. Once done I decided that other stores would want the same thing and we officially started marketing it in 1985. It has been revised many times over since then to keep it ‘state of the art’. Watching Doctor Who and Star Trek. Also model railroading. Why do you sell systems and software exclusively to the pet and feed store industries? It has always been an industry that I really care about and, helping others succeed in business is one of the things I enjoy. We went exclusive because this industry is very unique compared to other types of retail stores especially the needs for livestock tracking, care, and feeding for those stores that sell pets in addition to dry goods. That would be some of the more unique pet stores as I love exotic animals. Our store was also known as the Jamestown Zoo as we had Kinkajous, Wallabies, Sailfin dragons and the like. In selling to the industry I found others including one that had a sloth and others with Tamarins. Funniest story from when you owned your Petshop? Anything related to snakes. We had an albino snake (about 3 foot long) who escaped one night. Could not find it anywhere. We had a soda machine at the front of our store. I was in the back of our store and I heard a woman scream. I ran up and she was standing at the machine. My first thought, as she ran out the door was, maybe I was charging too much for the sodas haha. Did not see anything wrong so I put some money in and hit the root bear button. Instead of the soda, the snake stuck its head out of the dispensing area. Turns out it like the heat of the motor so it moved in to keep warm. My family. Without their support and love in the good and bad times, I do not know what I would do. They have been my driving force. Jaguar 12 cylinder sedan. Tough, I might also need my own service shop and gas station. Out of all the places you’ve visited, what’s been the one to bring you to aw? Niagara Falls. Just seeing the power of nature there is breathtaking. Apple fanatic or (*cough* Superieur *cough*) android all the way? Fuji Sushi that’s located in Orlando, FL. Love sushi and, that place beats any other than I have been to including in Vegas, Moscow, NY, etc. Why not both? I have had chocolate covered cherries with cayenne pepper mixed in. Yum! If I have to choose though, sweet. If you could sit down for a cup of coffee (tea if you so please, really though who would turn down an offer of coffee) with one famous individual alive or dead, who would you choose? First of all tea. I am one of those odd people who do not like coffee. Albert Einstein, just to talk about the universe and his views. The Buffalo. I like to provide for and take care of my herd. Thanks for the read guys! Also, big thanks to my boss for scrunching in the time to answer these questions. if you have any you’d like to ask him then feel free to shoot a comment below! Stay tuned for our next Meet Our Staff featuring our beloved Diane Kann.